Join the army! 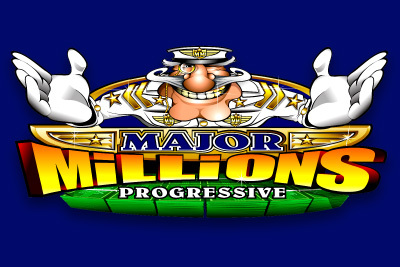 The Major needs YOU to win the progressive jackpot! Or at least that’s what we heard when we opened up Major Millions mobile slot, an old favourite of ours. No one was happier to hear that Microgaming had turned one of its most popular video slots Major Millions into a mobile slot machine. One of the best slots to play online or mobile, this game is definitely worth a spin. This Microgaming video slot is actually the second in the series of slots, with the first only having 3 reels and one payline, whilst this slot machine has 5 and 15. And it’s the 15th payline that counts, with five Major Millions logos leading to the big jackpot win. However, once you take the hope of the free spins bonus away, you are left with quite a simple mobile slot machine. The games bonus features are slim picking with a simple Wild and Scatter symbol providing extras. But if you are a fan of the simpler mobile jackpot slots, this slot is a very good choice. Wild Symbol: The Major Millions logo symbol is the wild, substituting all symbols except scatters and tripling your wins. Jackpot: 5 wild symbols on the 15th payline will win you the Major Millions jackpot, which is pretty sweet if you do. Scatter: Scatter wins are multiplied by the total number of credits staked and are added to the payline wins. An old favourite created for mobile phones and tablets this is a simple army slot with few bonus features, but targeted at the jackpot slot lovers out there. We found that it's best to play this video slot on iPad or tablet as the graphics and reels stand out better, but it still plays just as great on our mobile phones, simply smaller. And with the chance to win the progressive jackpot just a spin away this Major Millions Microgaming mobile slot is worth a look.